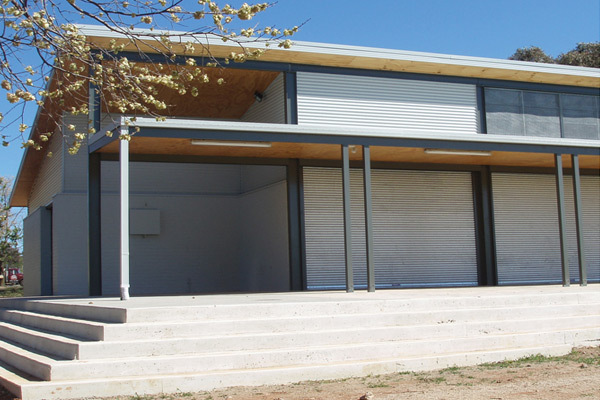 A brand new building was constructed adjacent to the Mawson Playing Fields for the Woden Valley Soccer Club. The Club facility included toilets and showers together with a canteen and administrative and storage areas. Work on this green field site was completed on time and on a tight budget for the Club. The quality of workmanship and design coordination were the main feature of this very successful project. 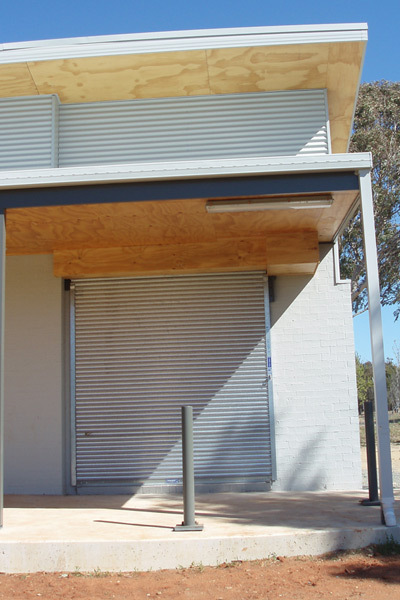 The building was designed to be highly secure when not in use because of its location, and for it to be opened up to the playing fields for easy access by Club members. Behind the external roller doors are a series of aluminium doors and windows which make the clubhouse welcoming.